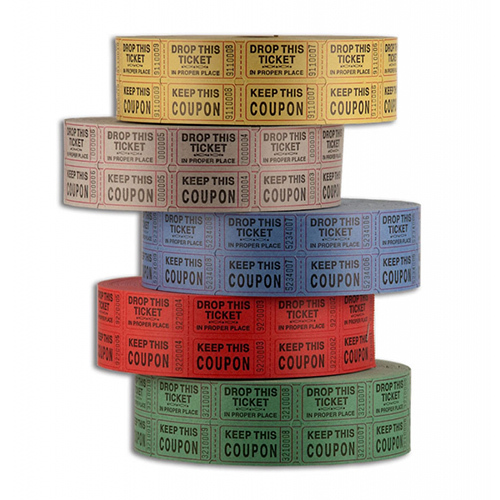 This roll of Double Coupon tickets has 2000 matched tickets that make them great for raffles. They come in 8 great colors with 4 colors per case. 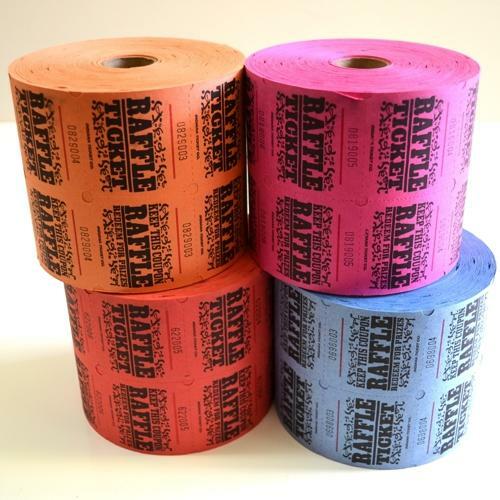 (Purple, orange, blue, and red) (Yellow, pink, green, and white) – 20 rolls per case. 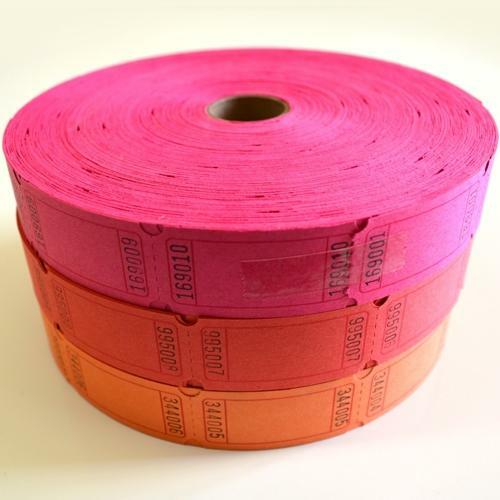 These large rolls of Double Tickets are very easy to write details on the back. 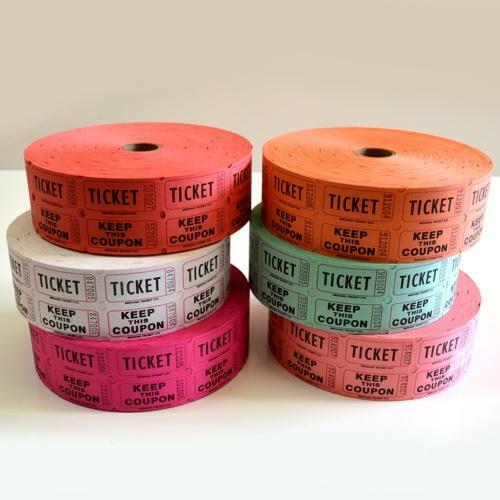 There are 1000 matched tickets that make them great for raffles. They come in a variety of colors so there is one sure to match your event. – 18 rolls per case. 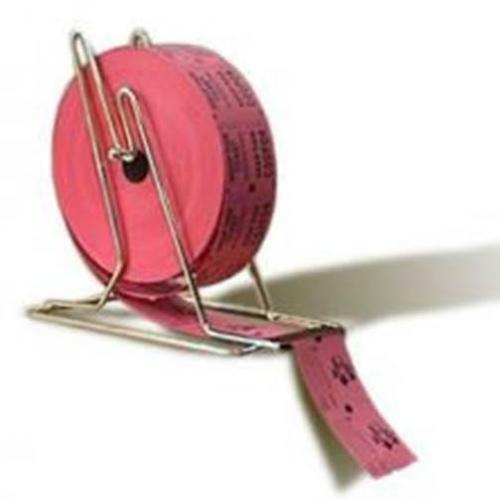 Make distributing large or small quantities of roll tickets easier with this Roll Ticket Holder. *Does NOT come with a roll of tickets as pictured. 20 pieces per case.